Nathaniel J. Soper, MD, the Loyal and Edith Davis Professor of Surgery, has stepped down as chair of the Department of Surgery after nearly 12 years of leadership. Nathaniel J. Soper, MD, the Loyal and Edith Davis Professor of Surgery, has stepped down as chair of the Department of Surgery after nearly 12 years of leadership in the role. A national search will be conducted to recruit a successor to Soper, who will continue on as a professor in the department. Howard Chrisman, MD, MBA, professor of Radiology and of Surgery and president of Northwestern Medical Group, will serve as interim chair. Soper joined Feinberg’s faculty in 2003 as vice chair for clinical affairs and director of minimally invasive surgery within the department. He became chief of the division of GI and endocrine surgery in 2005. He was named chair of surgery in 2007, where he led eight clinical divisions with a vision to elevate the department among the most recognized and respected academic surgical programs in North America. While advocating for safer surgery and improving the lives of patients, his academic scholarship has focused on the applications of minimally invasive surgery for gastroenterological disease, laparoscopic ultrasound, alternative treatments for gallstones and motility of the gastrointestinal tract. He recently has been involved in the early clinical experience with Per Oral Endoscopic Myotomy (POEM) surgery. Soper received his Doctor of Medicine degree from the University of Iowa and completed an internship and residency training in surgery at the University of Utah Health Sciences Center, where he also served as a postdoctoral research fellow and chief resident. He then completed a National Institutes of Health research fellowship in digestive diseases at the Mayo Clinic in Rochester, Minnesota. Prior to joining Northwestern, he served on the faculty at Washington University School of Medicine and on staff at Barnes-Jewish Hospital in St. Louis, Missouri. Among his many accomplishments, Soper was awarded the Andrew L. Warshaw Master Educator Award from the Society of Surgery of the Alimentary Tract in 2017 and was recently selected as a founding member of the American College of Surgeons Academy of Master Surgeon Educators. He is past president of the International Society of Digestive Surgery, Society of American Gastrointestinal and Endoscopic Surgeons, Central Surgical Association and Society of Surgery of the Alimentary Tract. He is a fellow of the American College of Surgeons, a member of Alpha Omega Alpha, and the American Surgical Association and Society of University Surgeons. 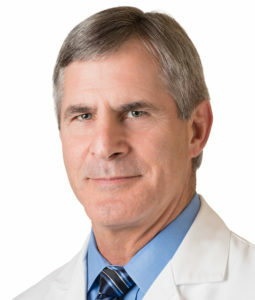 Soper has held several research grants and has served as author, co-author or editor of more than 300 peer-reviewed articles, reviews, books and chapters, and served on the editorial board of numerous academic journals including Annals of Surgery, Journal of the American College of Surgeons and Surgical Endoscopy. He is board certified by the American Board of Surgery. Chrisman, who will serve as interim chair during the search process, received his medical degree and Master of Business Administration degree from the State University of New York at Syracuse. He completed his residency at the University of Virginia Hospitals and fellowship at the McGaw Medical Center of Northwestern University. He has previously served as interim chair of the departments of Pathology, Radiology and Anesthesiology.